A posh and polished look, powerful Hemi V8 engines, high-end cabins, superlative safety scores and one of the smoothest cruises on the market keep the 2012 Chrysler 300 Series a top contender in the full-size sedan game. A pair of outmoded transmissions, pricy options, limited rearward visibility, tight rear seating and a less-than-peppy V6 engine remain sobering reminders that Chrysler still has work to do on its flagship 300 sedan. 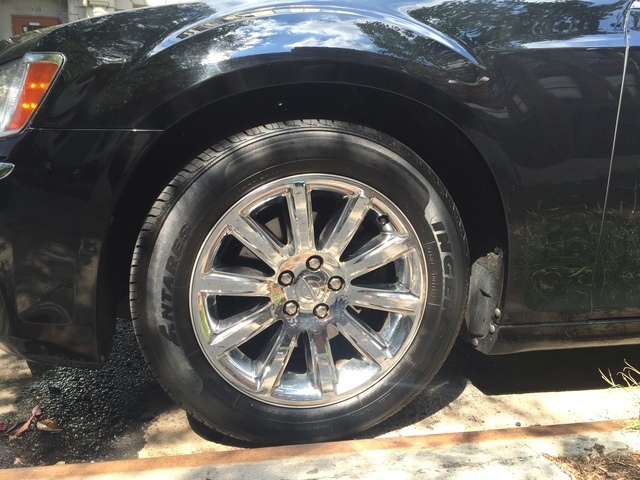 An instant sensation when it first hit the streets for the 2005 model year, the 2012 Chrysler 300 Series continues to impress with its looks alone. Add a pair of potent V8 engines, increasingly posh cabin features and more techno-gizmos than most full-size sedans out there, and this year’s version bedazzles with features, comfort and performance. The fact that it’s made right here in the U.S.A. and remains a throwback to Detroit’s ostentatious big-car era doesn’t hurt either. For those who covet upper-class luxury at a working-class price, the 2012 Chrysler 300 ought to fit right in. One of several Chrysler/Dodge/Ram products that have given the Detroit automaker a new lease on life, the 5-passenger 300 full-size sedan offers blue-collar plush, a choice of drivetrains, including a pair of Hemi V8s, 16.3 cubic feet of trunk space and plenty of quasi- and even genuine-posh standard features. Furthermore, the 300, in all its various editions, has become a darling of reviewers and consumers alike, especially after its comprehensive redesign in 2011. Among the more notable improvements for 2012, Chrysler now offers its flagship sedan lineup in 7 trims: the Base 300, the lower-midlevel Limited, the brand-new and uniquely styled 300 S V6 and 300 S V8, and the 300 C, along with its luxury-oriented (and also brand new) 300 C Luxury Series counterpart. Then there’s the return of the muscle-flexing 300 SRT8, for those who absolutely, positively have to get to the office before anybody else. The 300 S V8 trim, by the way, is also available in the leaner, meaner MOPAR 12 sub-trim that’s loaded up with signature MOPAR badges, trim pieces and performance tweaks. The “12,” of course, indicates this black beauty’s introductory year, but don’t look for it to return in 2013. Along with these new trim editions, the Detroit automaker also adds a standard 8-speed shiftable automatic transmission to V6-equipped trims for 2012, not to mention a downsized touchscreen trip computer and vehicle info display that now comes standard in the Base 300 and Limited trims. While each of the various 300 trims can be delivered with standard pavement-blasting rear-wheel drive (RWD), winter-capable all-wheel drive (AWD) is available in all trims except the Base 300, the MOPAR 12 and the SRT8. Value-wise, the Base 300, with its standard V6 powerplant and traditionally minimalist amenity endowments, is offered at a reasonable price, thus cutting through Chrysler’s ordinarily confusing cornucopia of deletions, additions, options and pricing schemes. One of the things the Detroit-based automaker does well, and one reason for its resurgence over the past 4 years, is providing the right car with the right features to the right owner for the right price. This specialization—or perhaps customization is a better description—can be a little overwhelming at first, but it works. In any case, those in the market for an affordable domestic semi-limo might want to check out Buick’s efficient LaCrosse, Cadillac’s legendary CTS or Ford’s here-today, gone-tomorrow, back-the-next-day Taurus. Volkswagen’s well-wrought Passat is a solid choice for an affordable Euro-style sedan, while Korean automaker Hyundai’s surprisingly upscale Genesis can hang with the best of Japan’s high-end 4-doors. In a constant upward curve of power, efficiency and performance, the once much-maligned V6 engines of yesteryear are now solidly entrenched among the domestic elites. A case in point is the variable-valve-timed (VVT) Pentastar 3.6-liter V6 that comes standard in the Base 300, the 300 Limited and the 300 S V6 trims. This okay six-banger is E85 Flex-Fuel capable (FFV) and, mated with a new-for-2012 8-speed shiftable automatic transmission, puts out 292 hp at 6,350 rpm and 260 lb-ft of torque at 4,800 rpm. Meantime, the EPA estimates mileage at 19 mpg city/31 highway in RWD trims, 18/27 in available AWD editions. 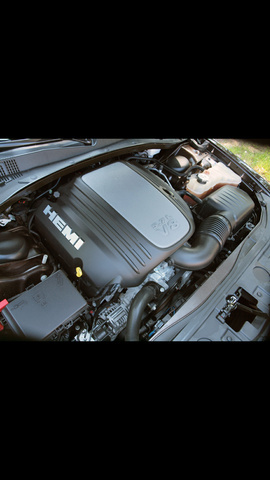 Standard in the 300 C, 300 S V8 and the 300 C Luxury Series is one of Chrysler’s legendary Hemi powerplants. This 5.7-liter V8 engine, also sporting variable valve timing, mates with a somewhat outdated but still tolerably effective 5-speed shiftable automatic transmission to pound down 363 hp at 5,200 rpm and 394 lb-ft of torque at 4,200 rpm. All 300 trims toting the Hemi V8 are available in AWD editions, with mileage running 15/23, while standard RWD trims sport 16/25. 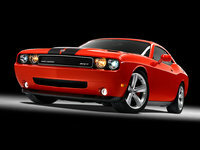 Finally, the 300 SRT8, back for a return engagement, once again brings with it the jaw-dropping 6.4-liter Hemi V8. Mated with the 5-speed shiftable automatic transmission, this big V8 throws out 470 hp at 6,000 rpm and 470 lb-ft of torque at 4,300 rpm. Estimated gas mileage in the RWD-only SRT8 is a tepid 14/23, and Chrysler recommends that this monster burn premium unleaded gas only. Chrysler’s AWD system enters the 21st century with traditional RWD cruising in normal conditions, while sensors that monitor road conditions will automatically split torque appropriately to all 4 wheels on slippery surfaces. Reviewers find the V6 efficient, if not exactly awe-inspiring, though the 8-speed automatic is, according to some, masterful at disguising any weaknesses this six-banger may have in serious scoot. Tests of the V6, meanwhile, showed a 0-60 time of 7.1 seconds, which ought to be good enough for most. The 5.7-liter Hemi V8, on the other hand, is noted in all reviews to be considerably stronger all around. A 300 MOPAR 12 with this normal-sized V8, an amped-up rear axle ratio and the ubiquitous 5-speed automatic was clocked at just over 5 seconds from 0-60, though less exotic 5.7-liter-equipped trims will doubtless show comparatively less speed off the line. Finally, a 300 SRT8 made the 0-60 journey in a quick 4.7 seconds, leading a number of reviewers to search deep into the thesaurus for superlatives to describe this beast’s performance off the line. The 5-speed automatic is touted by the media as nearly flawless in downshifting for passing power, though a few reviewers wonder… again… why the Detroit automaker won’t update this somewhat antiquated transmission in its Hemi-laden flagship sedan. Ride comfort aboard all 2012 300 trims is described as pleasant to downright plush, depending on tire size and suspension tuning. Based on the original Mercedes-Benz E-Class chassis, these posh people-haulers are delivered with a 4-wheel independent suspension, with a short and long arm front end and multi-link rear, all complemented by front and rear stabilizer bars. The 2012 300 trims, meantime, roll on 17- to 20-inch alloy wheels, depending on the trim and drivetrain configuration. Those lower-level 300s carrying the standard touring suspension offer, according to most reviews, an almost bump-free ride, while those trims, such as the 300 C and 300 C Luxury with sport touring systems, the MOPAR-sprung 300 MOPAR 12, and the muscle-bound SRT8 with its driver-selectable 2-mode sport suspension and sport-tuned steering, also boast surprisingly compliant ride comfort. Bumps will, obviously, become more noticeable with these firmer suspensions, but most reviewers are quick to point out that there’s never any harshness to the ride, even aboard the sportier trims. Handling, of course, is a reflection of the various suspension particulars available to the 300 lineup. Reviewers are quick to point out that these big sedans won’t handle like a Maserati, but most acknowledge the fact that all trims handle corners with minimum body lean, though the lower trims, with standard suspensions and electric power-assisted steering, lack a confident responsiveness in the wheel. The SRT8, of course, with its 20-inch tires and heady suspension, shows some nifty moves on all but the most convoluted of roads, according to virtually all reviewers, as does the marginally less well-sprung MOPAR 12. The 300 S V6 and V8 versions are differentiated, RWD from AWD, by a number of suspension tweaks, while the 300 C and C Luxury boast an elaborated sport touring suspension that heightens driving excitement without significantly compromising ride comfort. According to most reviews, braking systems aboard the 2012 300 lineup range from excellent to superlative, and this important fact is confirmed in various road tests. Standard brakes bring the touring-equipped Base 300 to a stop from 60 mph in 118 feet, with the standard quad-piston Brembo brakes on the SRT8 accomplishing the same thing in an eye-opening 111 feet. Keeping in mind that the 2012 300 lineup is touted as an upscale family sedan, standard appearance, comfort and convenience amenities are suitably arranged. The Base 300, for instance, sports 17-inch painted alloy wheels and heated power-adjustable mirrors outside, with power-adjustable front bucket seats, cloth upholstery and floor mats in front and rear, as well as simulated wood, leather and simulated alloy cabin trim and steering-wheel bling all among the included interior perks. Remote power door locks also come standard, as do cruise control and telescoping tilt-wheel steering, all of it complemented by dual-zone automatic climate control. Techno-goodies, meantime, include an auto-dimming rear-view mirror, basic Uconnect audio interface through the new dashboard-mounted touchscreen and an MP3-capable single-CD player with 6 speakers, satellite radio, a memory card slot and a USB connection. Next up, the 300 Limited trim adds 18-inch (RWD) and 19-inch (AWD) alloy wheels, heated height-adjustable front seats, power-adjustable telescoping tilt-wheel steering, remote engine start, premium leather upholstery and a rear-view camera. Also look for 276 watts of audio pumped through 6 Alpine premium speakers and upgraded Uconnect/Bluetooth hands-free, voice-activated communications interfaced with a massive 8.4-inch touchscreen. The 300 S V6 throws in 20-inch polished alloy wheels (RWD) and 19-inch alloys (AWD), some unique styling touches, premium cloth upholstery and simulated carbon fiber interior accents, but deletes the power-adjustable telescoping and tilting steering wheel and power-adjustable front passenger seat in favor of manual adjustment of both. This lower midlevel trim also boasts steering-wheel-mounted paddle shifters and a 552-watt, 10-speaker Beats audio system courtesy of Dr. Dre. The touring-minded 300 C, meanwhile, adds 18-inch polished alloy wheels to RWD variations and 19-inch alloys to AWD editions, as well as reverse-tilting rear-view mirrors. The premium leather upholstery returns in this upscale variation, as does the power-adjustable front passenger seat. A power rear sunshade, meanwhile, as well as power-adjustable pedals, heated steering wheel, memory for driver's settings, the new-for-2012 heated and cooled rear console cup holders and a universal remote garage door opener do wonders for occupant comfort and convenience. This higher-midlevel trim additionally sports hard-drive-based Garmin navigation with real-time traffic, though audio reverts back to that 276-watt system found in the Limited trim. The 300 S V8, meantime, sports most of the accoutrements found in the 300 C while retaining the unique styling elements and Dr. Dre-inspired audio components found in its V6-equipped sibling. By the way, Chrysler’s sporty MOPAR 12 sub-trim (based on the 300 S V8) comes similarly equipped to its more staid cohort, differing mainly in its unique blue/black coloring and the 20-inch gloss black wheels mounting 3-season low-profile performance tires. Moving up from sporty to spiffy, the 300 C Luxury trim boasts, in addition to its more plebian 300 C kinsman’s standard equipment, upgraded platinum chrome exterior trim and hand-stitched leather upholstery, as well as Berber floor mats in front and rear and genuine wood cabin accents. Finally, Chrysler’s over-the-top 300 SRT8 combines many of the finer elements in its comparatively geeky Limited, 300 S and 300 C kinfolk, along with 20-inch polished alloy wheels, specialized badges and trim accents inside and out, exotic “virtual gauges” in the dashboard, and front and rear parking sensors—all, of course, in addition to its bulked-up performance equipment. Options in lower trims of this opulent sedan encompass most of the equipment found in the pricier editions. Available extras like a power sunroof, upgraded wheel and exterior chrome, heated steering wheel and heated second-row seating, as well as a 900-watt, 18-speaker Harman Kardon audio system and the new heated and cooled front console cup holders are available to the Limited trim and higher, either in package form or as standalone options. By and large, reviewers find the well-wrought 300 Series to be comfortable and roomy, at least in the front bucket seats, while the rear seat can get cramped for more than two adults, especially with the rear floor hump interrupting the feng shui of those unfortunate enough to be stuck in the center position. Alas, reviewers also find rear visibility to remain a bit challenging due to the thick rear quarter panels and down-sized rear window. Quietness, on the other hand, remains a traditional staple of this posh sedan’s offerings, and reviewers claim that this year’s trims continue to be sedately muted. The “virtual gauges” that come standard in the SRT8 are noted by reviewers to be a marvel of information technology, while the Garmin navigation system has been simplified to the point that even techno-challenged adults can use it easily and effectively. Finally, reviewers pen special praises for the high-end cabin materials and workmanship up and down the lineup, as well as the available heated and cooled console-mounted cup holders. Notable standard safety and security features found in every 2012 300 trim include 4-wheel antilock brakes (ABS) with electronic brakeforce distribution, emergency braking preparation and assist, and brake drying. Of course, traction and stability control, front and rear airbags, dual front side-mounted airbags and front head restraint whiplash protection come standard, with all this complemented by daytime running lights, dusk-sensing headlights and a post-collision safety system. The Limited trim and above additionally offer standard front fog/driving lights and a remote antitheft alarm, with the SRT8 flaunting standard adaptive and self-leveling xenon high-intensity-discharge (HID) headlights. A highly touted SafetyTec package is optional for the Limited and higher trims (standard in the MOPAR 12), and includes radar-interfaced adaptive cruise control, blind-spot alerts, rear cross-path warning, high-intensity-discharge (HID) headlights, Parksense Parking Assist, a universal garage door opener and turn-signal-integrated mirrors. As a luxury-oriented family sedan, the 300 Series gains a Top Safety Pick for 2012 from the Insurance Institute for Highway Safety (IIHS). Hefty doses of standard safety features, not to mention its highest score of Good in all test regimens will do that. The National Highway Traffic Safety Administration, meanwhile, gives this snazzy sedan its highest score of 5 stars for overall safety, front crash tests and side impact tests, while its second highest award of 4 stars is given for rollover protection. There are notably few complaints about the new 300 lineup from either customers or reviewers. However, some small rumblings of owner discontent involve the outmoded 5-speed automatic transmission offered with the two V8 powerplants, as well as some glitches common to the 8-speed automatic that comes standard with the V6 engine. A lack of notches on the 8-speed leaves owners guessing as to what gear they’re in when preparing to get under way, while the 5-speed seems to a number of owners to be a bit inefficient in its management style. Cabin storage is also an issue with a few owners, while others are still not convinced that Chrysler has solved its reliability and build-quality issues. None of these perceived problems, however, has slowed the constant stream of owner praise for this Detroit-engineered 4-door. Such intriguing touches as plush accommodations, plenty of standard features and a patrician profile, along with the cushiony ride and that pair of V8 powerplants, have owners singing praises for Chrysler’s standout sedan. More than a few also cite over-the-top safety scores, decent V6 mileage numbers, user-friendly techno-goodies and a pair of top-shelf audio systems, not to mention its genuine Detroit origin, as dealmakers in their decision to bring a Chrysler 300 home to roost. What's your take on the 2012 Chrysler 300? TheHorror The opening sentence is a train wreck. How did you land a writing job, Tallberg? Have you driven a 2012 Chrysler 300? Car is overheating when driving, but cools down while at a stopping point ?